With the consistent increase in the number of Android phone users, coupled with the fact that the year 2016 will end in a couple of days. It is my privilege to walk you through the cheap and best Android mobile phones that will suit your needs. As the end of the year approaches, a lot of people are anxiously waiting to benefit from the hot deals and discounted prices on top-notch items including Android smartphones. It is a norm that prices of most goods will go down to more affordable rates as we approach the festivities. Also, prices of Gadgets will hopefully find its space in the category where many smartphone sellers would compete for the front seat, thereby offering alluring bonuses and discounts to increase their level of sales. 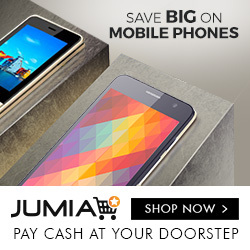 In fact, some smartphone lovers deliberately wait until this period to benefit from the price reduction. Just like The Black Friday deals that ended on 25th November, there were price reductions as low as “80% OFF” on top selling items like mobile phones, though over, but you can still grab the remaining last deals while it lasts. That’s by the way. People are fond of asking questions like; what cheap but good android phones can I buy with 20k? Cheap and Best Android Phones with Prices between (#25,000 – #35,000). This phone was launched in May 2016. This is one of the most affordable phones in this category. The phone comes in two different versions, The Tecno W3 and Tecno W3 Lite. The major difference is that the latter has 4G LTE network technology while the former doesn’t have. During the cause of our findings, it was gathered that production of Tecno W3 Lite has been discontinued, however, you may still be lucky to get it from merchants that still have it in stock depending on your location and how apt you can search. The two versions have 2500mAh batteries with 5-inch screens. Camera: 5MP rear camera, 2MP Camera. Dual LED Flash with Autofocus. Tecno W3 LiTE sells within the range of #30,000 to #35,000 depending on your location and Negotiating power. Also, don’t forget the fact that It is less available in the market compared with the one with only 3G Network. And you can get the Tecno W3 offline for about #27,000. You may want to order from a famous online store in Nigeria. You can buy Tecno W4 at a reputable online store and make payment on delivery depending on your location. Since there is fluctuation in foreign exchange leading to unstable price, as at the time of writing this post, it sells in the range of #32,000 and #35,000 depending on whom you are buying from. The ITEl it 1516 is a power pro as it is so called. It was released for sale in October 2016. This phone will attract you if you so much care about smartphone battery life. The itel power pro is pre-loaded with Android 5.1(lollipop). It was packed with 5000mAh battery and is fit enough to even charge other phone batteries owing to its OTG reverse-charge feature. I regard this as its unique selling point because battery capacity remains a great challenge when it comes to using smartphones most especially in this part of the world. It’s an entry level phone that comes with 5-inch display with 854 x 480 pixels resolution, a feature it shares with Tecno W3. Though some people have complained about the phone’s “contact” disappeared and still reappeared when they restart it. This may want to discourage some people, but I actually believe this is a minor issue that should not discourage you from having its feel if you have a low budget. ITEL it 1516 plus comes with OTG peripheral which enables you to charge other phones via USB. In my humble opinion, It takes the device longer than necessary to fully charge. It is probably due to the huge capacity it has. After thorough observation, It got fully charged in about 6 hours. And I suggest that Charging it overnight should actually ease the task. However, the test conducted revealed that the itel 1516 plus battery life is indeed durable as it completely drained off in about 36 hours of heavy use- with data service enabled. You can buy itel 1516 plus at reputable online store in Nigeria. With the rise in demand for this phone and unstable exchange rate, the price keeps increasing. It is sold between the range of #28,000 to #40,000 (as at march 2017) at offline stores depending on your location. Note that no fixed price is guaranteed for a long period due to reason that is best known to you. You might even be fortunate to get it at a cheaper price depending on your location. Tecno L8 was actually launched in April 2016, it succeeded Tecno L7 and was released alongside with Tecno W4. Sincerely, I join many others to complain about the 8MP rear camera that comes with the phone, instead, 13MP would have rather complemented the huge battery. Nevertheless, the phone has received a lot of accolade from users. There is an improvement in the design and the incorporation of HiOs user interface that was initially launched on Tecno Boom J8. The Tecno UI features music streaming app as well as Boom player for taking snapshots. The strong battery (5050mAh) feature is no doubt a plus to it, a feature it keenly competes with Itel1516 plus. This L series, however, surpasses the latter as it comes with an internal memory of 16GB. The price of TECNO L8 ranges between #33,000 and #40,000 on prominent Nigeria online stores. Buy Tecno L8 from a reputable online store. Cheap and Best Android Phones with Prices between (#40,000 – #50,000). The Infinix hot 4 X557 rightly succeeds the Infinix Hot 3. The phone offers a 5.5-inch display with XOS based Android 6.0 (Marshmallow). The introduction of the fingerprint sensor is indeed a welcome development. The infinix phone also features about 33% boost of battery capacity owing to the 4000mAh battery which can last for 2 days of “normal use”. It boasts a 5MP front-facing camera with a soft light flash and a quality 8MP rear camera with five internal lens elements that would give you exceptional snapshots. The Infinix XOS is responsible for the customized skin and it gives room for enhanced interactive experience and helps to decrease the battery consumption by at least 30%. The phone features a 2GB RAM and 16GB internal storage for better browsing experience and more space to keep your videos, photos, and files. It allows a micro SD card which is expandable up to 32GB. The smart voice is absolutely a plus, a technology feature with an enhanced microphone which is effective enough to neutralize underground noise- to enjoy clearer calls. The Infinix Hot 4 Lite is a variant which is sold cheaper than the infinix hot 4 in that it comes with 1GB RAM and lacks the Fingerprint sensor. The Infinix Hot 4 Pro is another version that might attract you with the 4G LTE feature but more expensive. The price of Infinix Hot 4 ranges between #41,000 and #50,000 on leading online stores in Nigeria due to the unstable situation of the foreign exchange. The Camon C7 is a lower version of the popular Camon C9 that was launched in June 2016. Many Nigerians kicked against the price of C9 that it was very expensive owing to the current economic situation, as a result of this, Camon C7 was released in July 2016 to give room for affordability. This is one of the best and cheapest android phones if you’re the type that cherishes quality phone cameras. The phone comes with a Quad-core Mediatek processor of 1.3GHz, has a 5.0-inch display, 16GB internal memory, 2GB RAM and Android 6.0 (Marshmallow) operating system with hiOS. Both front and rear cameras have been equipped with 13MP each. The fact that the phone comes with the latest eyeball identifying technology is no doubt a boost, thereby rendering a top-notch security to lock or unlock the phone through eye recognition. The front and rear cameras with the latest eyeball identifying technology are patently the unique selling points. Display: 5.0-inch HD IPS Touchscreen. The phone sells in the range of #42,000 – #48,000 in Nigeria depending on your location and Merchant you’re buying from. We noticed a slight reduction in the price (as at march 2017) owing to the positive change in the exchange rate, I guess. So, the order can as well be made on leading e-commerce store in Nigeria. This is the first phase of this particular post. At the next phase, we shall be considering other awesome gadgets that should fairly contest in these categories. Meanwhile, share your thoughts regarding this collection, your true reviews about any of the phones mentioned and other cheap and best android phones that justly fit in. Remember, affordability is essential due to the current economic recession in the country. Thank you for sharing the post if you’ve found it helpful. I just got the itel 1516 plus in mokola Ibadan for 30k. And I have been trying to assess the battery. It took some time to recognize the mini SIM but everything is working fine now. Thank you for your comment. The phone is actually not bad for the price. Thank you for your comment. First, consider your budget. You may go for Tecno W3 if battery capacity is not a top priority. Oppo’s heavily skinned custom interface is old-fashioned and full of childish icons, plus it’s outdated and only running atop Android 5.